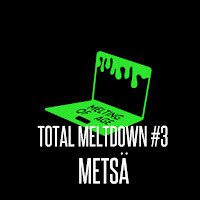 This month, MOA had the talented producer, Metsä, curate October's Total Meltdown playlist. It's a beautiful one! Check it out and enjoy below! Ever see a glimmer of light in the night sky and think for second about the existence of other life forms? UK producer, skintrest, released a new peculiar track titled, "Alien," that is sure to intrigue you in just the same way. Touching a bit of grime with the sketched out drums and bass, skintrest's experiment in trying a new style will haunt you in this extraterrestrial track. But in a good and exciting way. With bending and warping beats, you are sure to ask yourself, "Do aliens exist?" Below share and listen to skintrest's "Alien"! Also create a SoundCloud station for the track here. Two of the most unique labels with some of the most unique artists join together to give us a special Halloween compilation titled, CURSED TOGETHER. DESKPOP and FRIGHT HOUSE composed this peculiar album with a few of our favorite artists like Strider, FLOOR BABA, and Space Candy! This storytelling comp has tracks like Metapod's thrilling journey with Sarcastic Spiders and "Cosmicosmo & the CYBERSPACE CURSE," a spacey mind bending track featuring Braz_OS. This is one of the perfect projects where you can discover a ton of amazing artists. Play this at your Halloween party or maybe just whenever you're feeling extra spooky to get into the spirit of October! Below check out DESKPOP and FRIGHT HOUSE's new comp, CURSED TOGETHER and enjoy the horrifically delightful tracks! When just simply browsing through SoundCloud I love it when I stumble upon new artists. 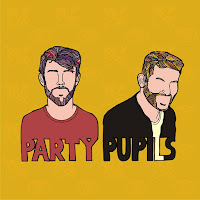 Transforming one of the most notable R&B songs to exist, Party Pupils give a groovy spin on this seductive track. From Los Angeles, singer MAX and musician RyanEXOE, has just begun their journey as a project duo with "Pony" being their second single to drop on SoundCloud. A nice disco feel with soulful vocals, this track is one you do not want to miss! Below check out Party Pupil's new single, "Pony"! It has been quite some time since slugabed released a new one and his remix of "Aww Man" is just what we needed. Winding synths and snares, this strong rap beat will get you cranking up your speaker to a 10. Slugabed's version of this Lil Bibby track displays the grimey use of unique sounds this London producer is able to construct together. Below check out slugabed's remix of "Aww Man"! Also create a SoundCloud station for the track here! In a world where there are endless opportunities to display your creativity, this forward thinking YouTuber takes advantage of just that. Tara Chandra, who is also known as FashionBambini on YouTube, aspires to influence her viewers with her raw and creative platform. From her YouTube channel to the carefully coordinated fashion blog, Tara expresses her thoughts and emotions through the clothes she styles and wears. Based in Australia, her original content ranges from weekly vlogs titled, "T-Weekly," look books, and Easy Mag, a magazine filled with photos and people she admires and find interesting. With a voice she has no trouble using, below check out the interview I had with Tara talking all about her fashion and life inspirations. Enjoy! 1. What got you into making YouTube videos, specifically lifestyle fashion? 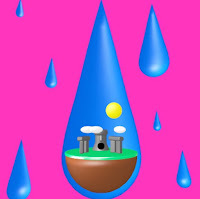 FLOOR BABA released a new tasty and refreshing track titled, "Rainberry." 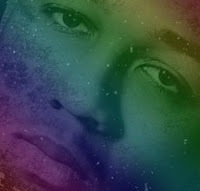 Dropping via Boyphonics, this music recording network gives us another beautifully original creation. FLOOR BABA catches our ears by taking us through a journey of unique sounds and drum samples. This colorful piece is something you need to add to your season's playlist due to its soft bumpin rhythm. Take a seat and lay back to FLOOR BABA's new "Rainberry"! Also, create a SoundCloud station based on this track here! 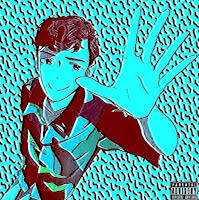 "YOUR NAME" - GOOD INTENTWritten by: McTavish Jones In Airynore’s remix of Good Intent's "Your Name," Airynore morphs the song from a smooth R&B ballad to a funky future dance tune. The soft brass synths compliment the sharp LFOs. The vocals are then processed through a vocoder giving it a retro and groovy feel. Then we are greeted with a bit crushed melody in the back tickling the listener's ears. If you enjoy the feeling of being in a future disco club, then this track is definitely for you. Below check out Airynore's remix of "Your Name"! It's a playful tune that will rattle your ears! Squeaks and drips of sweet sounds, Gupi will make you smile with his new track, "Great Day." This hyper track is a trap daydream that can make anybody's day great and feel spontaneous. Bouncing off the walls with obnoxious positivity, the song ends your trip in a slow yet almost sarcastic "Wow. What a great day." The track is a rush of good feelings and excitement. Below check out Gupi's "Great Day"! Also, make a SoundCloud station for the track here! 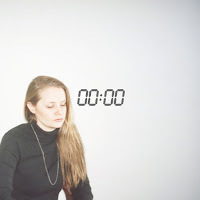 Dropping from #weirdkids' newest compilation, this CHLO track really caught my ears. With mystifying whistles and chants, this track holds a variety of jumping and eclectic beats. Jersey club and trap flavors intertwining, "Zigazig Ha" is an oddity that could have a club dance from head to toe. The strange and captivating collective has endless talented artists you are bound to discover and enjoy! Below check out CHLO's "Zigazig Ha"! Australian producer, Swick, is back again with an island inspired track that makes your brain cells light up. 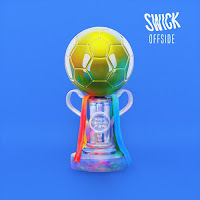 Via NLV Records, "Offside" is Swick's release since his EP Stamina, and I can more than say he never disappoints. This vibrant track holds up to Swick's signature style of keeping every song lively and unique with his way of playing with various melodies and sounds. An ear tickling tune, below check out Swick's newest release, "Offside"! Also available for stream via Spotify here! 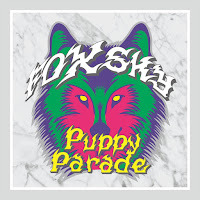 ABSRDST sure surprised us with his new remix of Foxsky's hyper rave "Puppy Parade." Via Trekkie Trax, barking bass and your old school "Who let the dogs out" phrase hitting the scene, who knew dogs could musically make us throw our unforgiving trap arms in the air. 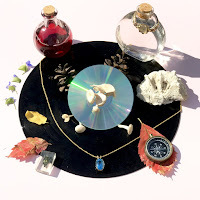 ABSRDST gave us a beautifully constructed version of "Puppy Parade" who's intro starts in a caress of vocals which then leads into a snapping dubstep bass drop and bubbly synths. Below check out ABSRDST's remix of "Puppy Parade"! Below listen and share Exitpost's remix of "We are Still In Love In My Dreams"! From the easy drums to the smooth guitar instrumentals, the vocals of Wilson's melodic voice carries you away as Nick AM brings us an edit of a BADBADNOTGOOD track. Feelings of ease and immense satisfaction, this edit enhances the original's subtle groovy and vibrant feels. Nick AM spins his version into an old school acid jazz and hip-hop backbeat, just pushing the song into another level of dreamy moods. This is certainly a track you will be having on repeat for quite some time. Below, share and listen to Nick AM's edit of "In Your Eyes"! 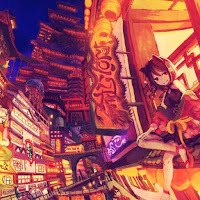 "TAIPEI" - TOFUKU (TENKITSUNE REMIX)Written by: AREN Tenkitsune’s newest remix of Tofuku’s “Taipei" is an amazing song offering a big twist on the original with some really chill yet fun and upbeat trap. 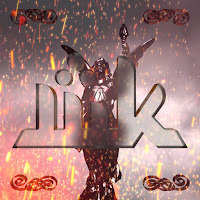 Tenkitsune is known for their great tracks varying from chiptune, trap, future bass, to glitch hop! The trap remix is done well with lots of incredible beats! The way they incorporate certain 8-bit(ish) sounds in the remix making it all the better! In addition with the beats, Tofuku's beautiful voice just makes it flow so well together. Tenkitsune has done a really spectacular job with this remix of “Taipei” so be sure to check it out!